Researchers work collaboratively with others in the equine sector both nationally and internationally. Engagement with the equine industry, including trainers and coaches, governing bodies, the equine welfare industry and feed companies, ensures the relevance and potential impact of this research. The focus of the research is on improving equine welfare within management, training and competitive performance. Research projects aim to address the needs of the horse in terms of social, environmental, nutritional and behavioural factors. 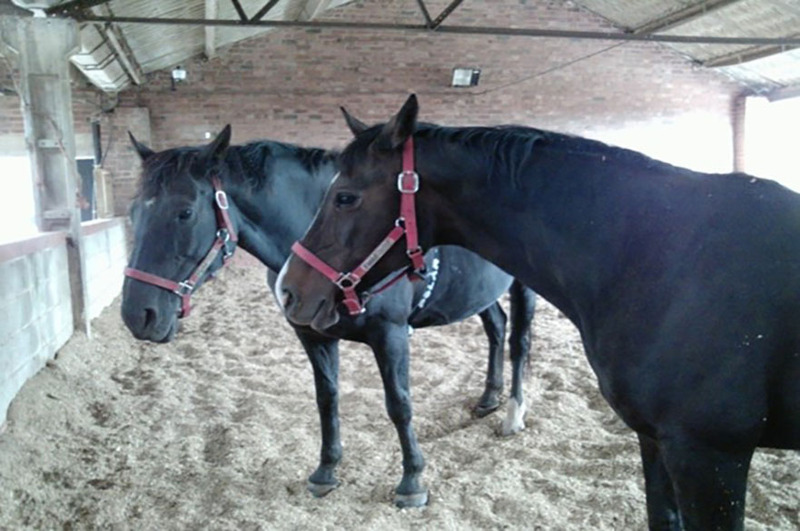 The promotion of social housing systems within the NTU Equestrian Centre forms a backdrop for research into the impact of different types of stabling on behavioural and physiological measures of stress, sleep patterns and responses to handling. Environmental factors such as air quality and ambient lighting and the effect these may have on equine health and disease are under investigation. Improving the health and well-being of ridden horses is another key aim of NTU research, including monitoring the visual behaviour (and visual judgement) of horse and rider and the impact of different equestrian surfaces on equine biomechanics and performance. Current equine husbandry frequently involves the semi-isolation of individual animals, which for a herd-dwelling social species compromises their need for companions. Naturally horses (and ponies) live in stable family groups and form strong affiliative bonds that may last for the lifetime of the animal. The potentially detrimental effects on the psychological well-being of being housed apart from con-specifics and isolated from others (for example during transport) are reflected in behavioural and physiological responses (see Kay and Hall, 2009; Yarnell et al., 2015). Previous research at NTU has demonstrated the value of surrogate companionship in the form of a mirror (Kay and Hall, 2009) and pictures (Hall et al., 2012), but that live companionship is preferable where possible (Kay and Hall, 2009). 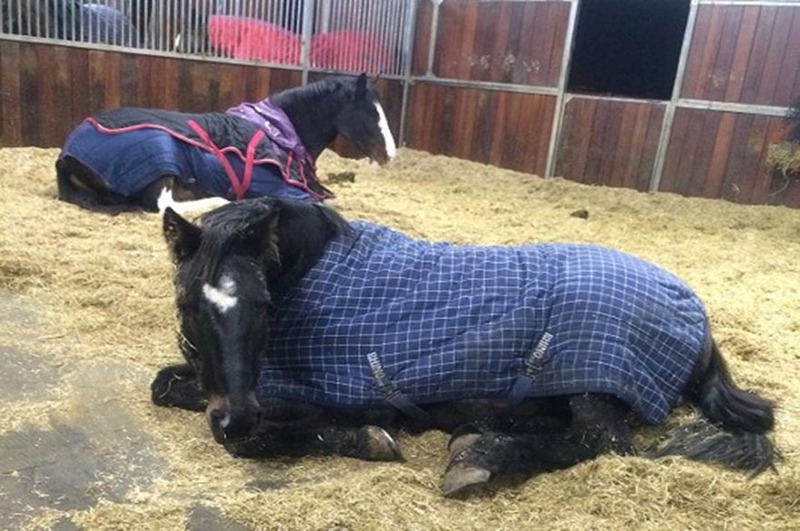 The identification of sleep patterns that are ‘normal’ in the healthy horse will provide a measure of well-being with which to assess the suitability of equine housing and husbandry. Disturbed sleep patterns are recognised as being indicative of health problems and/or psychological stress. Little is known of the impact that sleep deprivation may have on the horse, or the extent to which inappropriate housing and/or social grouping may cause disturbances in equine sleep patterns. In individually housed horses we demonstrated an effect of workload / exercise on resting behaviour (Jones et al., 2016) and this factor must undoubtedly be taken into account in future work. Current research at NTU aims to develop a validated measure of sleep architecture in the horse which can subsequently be used as an additional measure of equine well-being. On the basis of NTU research and practice in relation to optimising equine group structure and housing, we are now working with the British Horse Society. This project aims to devise guidelines for group housing horses, including recommendations for dimensions of such housing, practical measures that increase the potential for social interaction in individually housed horses and methods of reducing the risks / improving group cohesion in socially housed horses.